Our Farm Brewery & Taproom are located in Accord, NY. Enjoy a pint with friends on the patio, take in some breathtaking sunsets over our fields and stroll through the dramatic trellis system of the hop yard. Check out our events calendar below. We are looking forward to some great music and fun this season! WEDDINGS & PRIVATE EVENTS CLICK HERE. Check out our hours listed above and come visit us in Accord. We are a family friendly environment but as a working farm children must be supervised at all times. Well behaved dogs are also welcome and must be leashed. The tasting room is also the home of our brewery. While visiting you will be amongst the brewing system, barrels, and fermentors. We do not offer organized tours but our knowledgable staff are happy to show you around. 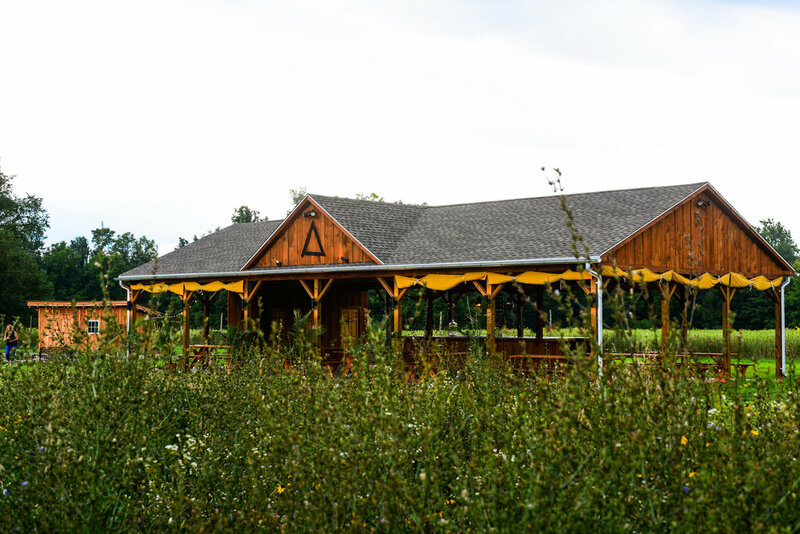 The tasting room opens out onto our farm property and you are able to wander amongst the native meadows and hop yard and enjoy some sunshine sitting out at our picnic tables. Our open air pavilion provides the perfect shady spot to enjoy a beer. It is also available for private events and weddings. 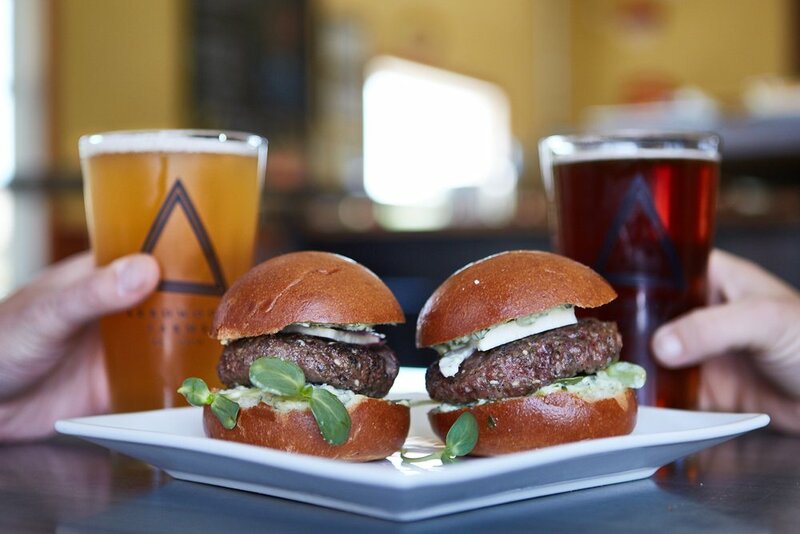 With ten taps of Arrowood Farms beer on draught there is sure to be something for everyone! Our beer menu changes regularly as our seasonal and specialty beers come to fruition. Local food trucks are here every weekend serving up delicious food! Need a little snack? We are selling Bjorn Qorn popcorn that was popped right down the road.